How To Buy The Best Headphones - Which? Upgrading to a good-quality pair of headphones will make a real difference when listening to your music. Find out which headphones are best for you. There's a huge variety of headphones available. Some are great for listening to music at home, whereas smaller, more portable models will let you listen in comfort when you're on the go. The range of features you can expect varies from model to model – from noise cancellation and wireless connectivity, to in-line remote controls and weather resistance. The best headphones sound great, are comfortable for long periods, and should stand the test of time. Read on or watch our video above to find out the key factors to look out for. Just want to see which headphones we recommend? Take a look at our Best Buy headphone reviews. Wireless headphones – ones that don't have a wire linking them to your smartphone or other device – have been growing in popularity since the early 2010s, when they started being a viable alternative to wired models. Now there are more new features being introduced as well. With the rise of voice assistants such as Google Assistant on Android and Siri on Apple devices, some headphones now allow you to control your smart devices with just your voice through the microphone on the headphones. In-ear headphones are now available in 'truly wireless' form, which means they have no cable at all – not even between the two earbuds. Fitness-tracking technologies, such as those often found in fitness watches, are coming to some headphones too. How much should you spend on a new pair of headphones? You can pick up a new set of headphones for less than £10, but these rarely impress. Generally speaking, more expensive models are made from higher-quality materials, which have the potential to sound better and last longer. However, expensive components don't protect you from poor design: we've uncovered Don't Buy models that cost more than £200, and Best Buys that are less than £50. To find the ideal budget pair for you, check out our round-up of the best cheap headphones. How long you should expect headphones to last for is an important consideration when buying a new pair. Very cheap headphones often do not last as long as more expensive models. Wireless models avoid common issues with wear and tear on the wired pairs. However, all headphones will degrade over time, even costly models. Our reliability survey of headphone buyers exposes the worst offenders for headphone reliability. Find out which headphone brands have the best and worst reliability in our headphone reliability guide. What makes a good set of headphones? Headphones come in a range of shapes and sizes, and can cost anything from £5 to more than £300. Some of the most popular brands to consider include Beats, Bose, Sennheiser and Sony. If you're looking to get the most out of your music, you'll need headphones that not only sound great, but are also comfortable to wear. Sound quality: the best headphones deliver full sound with the right balance of treble, mid-range and bass frequencies. In-ear models can struggle when it comes to producing bass, but a good pair of over-ear headphones will give you a rich, deep sound. Over-ear headphones come in two types: open-back and closed-back. Open-back headphones offer a more natural sound than closed headphones, but tend to leak more noise. 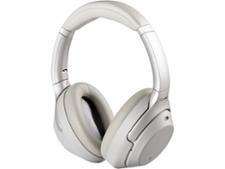 Closed headphones can sound a bit muffled, but are good at preventing sound leakage and blocking out unwanted noise. Comfort: whether you intend to use headphones every day or just occasionally, comfort is paramount when choosing the best set. Some in-ear headphones are comfortable but, if you plan to use your headphones for long periods, on-ear and over-ear models are typically a better choice. What type of headphones should you buy? There are four main types of headphones: earbuds, in-ear, on-ear and over-ear. The type you choose will depend on a number of factors, including how portable you want them to be and what type of sound you are looking for. There is also an element of personal preference. 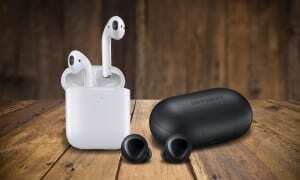 Earbuds: small and usually cheap, earbuds are often bundled with MP3 players and smartphones. They nestle inside the ear but don't fully seal it, so they’re susceptible to sound leakage, and some people find them too loose fitting to be comfortable. They are generally the worst for audio quality out of the four types of headphones. In-ear: these are probably the most common type, and are sometimes supplied with portable music players and mobile phones. They're light, portable, and generally much cheaper than on-ear and over-ear sets. They fit snugly inside the ear canal to provide a tight seal, so they minimise sound leakage. However, sound quality is generally worse than with over-ear and on-ear designs, particularly in terms of bass. In-ear headphones with thin wires (especially cheaper models) often have a shorter life expectancy, with the joints at the ends of the wires vulnerable to wear and tear. On-ear: smaller and lighter than over-ear models, these headphones sit on the ears and usually have foam or leatherette pads for extra comfort. Some are foldable, making them more portable than over-ear models. They're a bit of a compromise between the bulky but good-sounding over-ear models, and the very portable but weak-sounding in-ear ones. Obviously there are exceptions to these rules – there are in-ear headphones that sound better than all but the best over-ear models. Over-ear: these large headphones have cushioned pads that cover the entire ear. 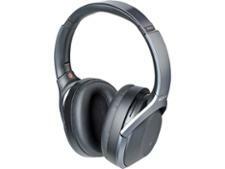 This makes them more comfortable to wear for long periods, and they generally deliver good sound quality. The bulkiest models aren't portable at all, and are best suited to home use. However, some models fold down into fairly compact carry cases, and could be used on your daily commute. 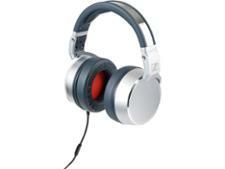 In addition to the four main types, there are specialised headphones for specific purposes. These include sports models that have additional features to help keep them in place during exercise, such as in-ear models with a neckband or ear clips. Many new headphones also allow you to access your smartphone's voice assistant (such as Google Assistant on Android or Siri on Apple devices) so you can issue commands hands-free using just your voice. For example, you could ask for today's weather forecast or skip to the next music track. To find the right pair for you, take a look at all our headphone reviews. What are bone conduction headphones? Bone conduction headphones don’t sit over your ears like other headphones, but instead slightly in front of them. Sound-wave vibrations made by the headphones travel to your inner ear through the bones of your skull. Some hearing aids employ similar technology. They offer the advantage of allowing you to be completely aware of your surroundings while listening to your music, as there’s nothing covering or blocking your ears. This means you can continue having a conversation with someone, or hear traffic as you’re crossing the road. In some cases they can also be useful for those with impaired hearing, because they bypass your outer ear and ear drum to transmit vibrations directly to your cochlea. We've tested a popular pair of these headphones – see what we thought in our Aftershokz Trekz Titanium review. If you want to be able to hear more of your surroundings as you listen to your music, there are alternative options to consider as well. There are open-back-style over-ear or on-ear headphones such as the Sennheiser HD 599, although these also leak sound to your surroundings, so could annoy anyone near you. Some other headphones have an ambient mode that you can use to let in more of the sound around you while not leaking sound, such as the Sony WH-1000XM2. In-ear headphones are the best type for running or doing other types of sport and exercise, as they're lightweight and stay securely in your ears. You need to decide whether to go for a wireless pair that uses Bluetooth to connect to your smartphone with no risk of tangled cables, or a pair with a traditional wire. So-called 'truly wireless' headphones are becoming increasingly popular. These do not even have a wire between the two earbuds. However, in-ear headphones with a cord or secure headband are also very popular, and can offer better battery life than truly wireless pairs, although the gap is rapidly narrowing. See our top headphones for running guide for our top recommendations for headphones to use during your workout. Should you buy wireless headphones? Wireless headphones let you listen to music without being tethered to the audio source. This makes them perfect for situations such as working out at the gym, where trailing cables can get in the way. Most wireless headphones use Bluetooth technology, but some use infrared beams transmitted from a base station. Bluetooth: now a relatively common feature on tech devices, Bluetooth connections use a digital radio signal to transmit sound. 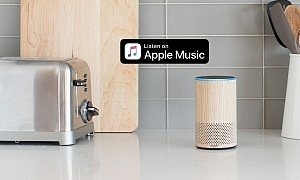 The range is usually less than 10 metres but they don’t require line of sight, so you can move from room to room at home while listening to your music. Infrared: like a TV remote control, these headphones use an infrared (IR) beam to transmit sound from a base unit. With a range limited to about 7 metres and the need for a clear line of sight between the headphones and base unit, you can’t wander round the house using infrared headphones. 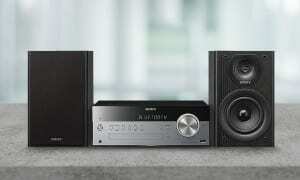 However, they are great for watching TV or listening to music from your MP3 player or hi-fi while in the same room. It’s tempting to drown out external noise such as traffic by cranking up the volume on your headphones, but this often annoys others and can even damage your hearing. The best solution is to invest in a pair of noise-cancelling headphones so you can enjoy your audio at much lower volumes. Tiny microphones and battery-powered electronics built into the headphones produce anti-noise signals to cancel out external audio, such as the low drone of an engine. Some headphones use standard AAA batteries, but these days most have a built-in battery that you can recharge via a USB connection. These headphones don’t come cheap, though – expect to pay around £50 for an entry-level set, to more than £300 for a top-end pair. Some do a great job of keeping unwanted sounds out, while others don't make much of a difference. What's an in-line remote control? Most mobile phones have a headphone port, so you can listen to audio saved on your phone while on the go. You can also use streaming services, such as Spotify and TuneIn Radio, to access music over the internet using your phone. 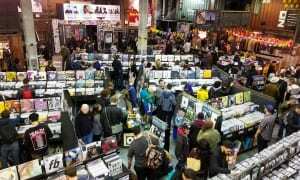 In these instances it's best to buy a pair of headphones that will allow you to control your music without getting your phone out of your pocket constantly. Many models feature an in-line remote control, often found towards the top of the cable, that you can use to alter the volume, skip tracks and stop your music altogether. They usually also house a microphone for hands-free voice calling. Android and Apple mobile phone headphones are configured slightly differently from one another – most in-line remote models will come in both an Android and Apple version. Be sure your phone is compatible before buying. Which headphones are best for your ears? Damage to your hearing is a real possibility when using headphones, and most music-playing devices now feature built-in warnings when you raise the volume over a certain level. These warnings may make some people think twice about listening too loud, but they are easily ignored. You might be particularly worried about your children damaging their hearing. There are some headphones available that include built-in volume limiters so kids can't raise the volume to dangerous levels. The best headphones for your hearing, whether you're an adult or a child, will be ones that block out as much external noise as possible so you don't have to turn your music up too loud to hear it. Look for noise-cancelling models if you can, but even some standard headphones with a good, tight fit will block out a lot of the noise around you. New Apple Airpods and Samsung Galaxy Buds launched – but which ones should you buy?